The new EC200E crawler excavator from Volvo Construction Equipment gives customers a new option between Volvo's 16- and 22-ton machines — a 20-ton class excavator that offers strong performance and comes without the added features and cost of a larger excavator. "This machine's size and price point make it a great new option for rental yards and for owners of smaller fleets looking to move up to take on bigger projects, particularly those in the building segment," said Sung Sook Kim, product manager excavatorsat Volvo Construction Equipment. The EC200Eis a new class size in Volvo's North American crawler excavator lineup between the EC160E and EC220E. It was designed primarily for customers who need a light- to medium-duty digging excavator. The EC200E has a maximum digging reach of 32 ft. 9 in. (10 m) and a maximum digging depth of 22 ft. 3 in. (6.7 m), with a lifting capacity of 16,138 lbs. (7,320 kg). The EC200E is fitted with X1 hydraulic piping and hasan attachment management system that allows for pre-setting hydraulic flow and pressure for up to 20 attachments. The machine is equipped for quick couplers, which makes it easier to swap out attachments quickly. 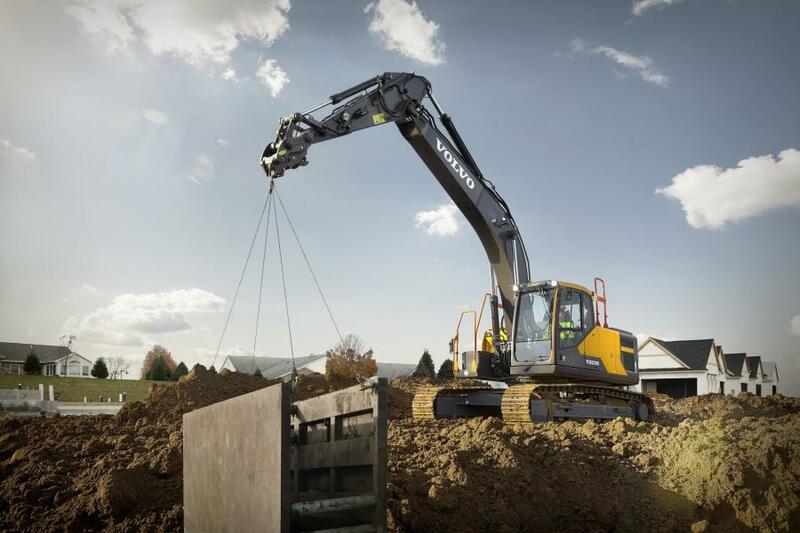 Like all Volvo excavators, the EC200E is backed by the Volvo lifetime frame and structure warranty, which covers the frame, boom and arm for the entirety of the initial period of ownership. It is also eligible for a free year of ActiveCare Direct, the 24/7/365 active machine monitoring and fleet utilization reporting service offered directly from Volvo. The EC200E also comes with the Volvo fuel efficiency guarantee. If the machine's fuel consumption and productivity do not meet model-rated efficiency levels, Volvo will reimburse a portion of the additional fuel.